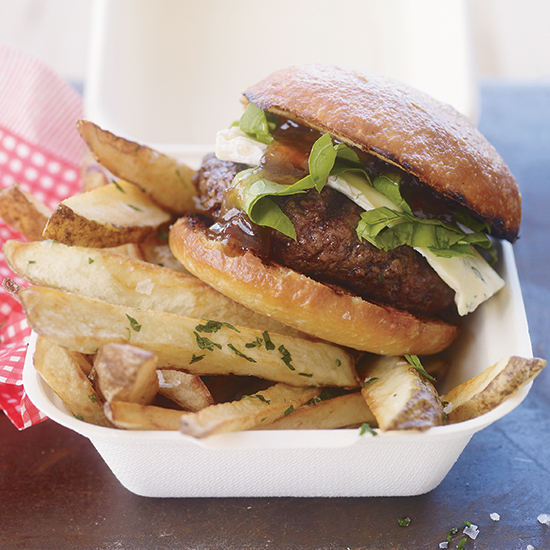 These irresistible street food recipes include Cambozola cheeseburgers with herbed fries and Mo's sticky ribs. 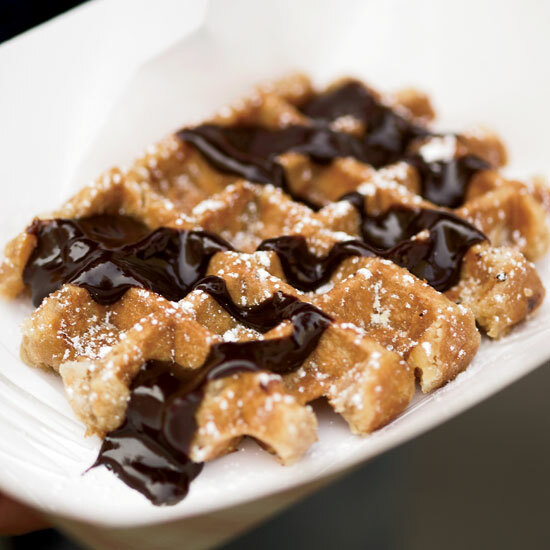 Thomas DeGeest went to Belgium to learn from master waffle-makers and perfect his own recipes. He came back with ideas for two styles of waffle, including this light, crispy Brussels version. 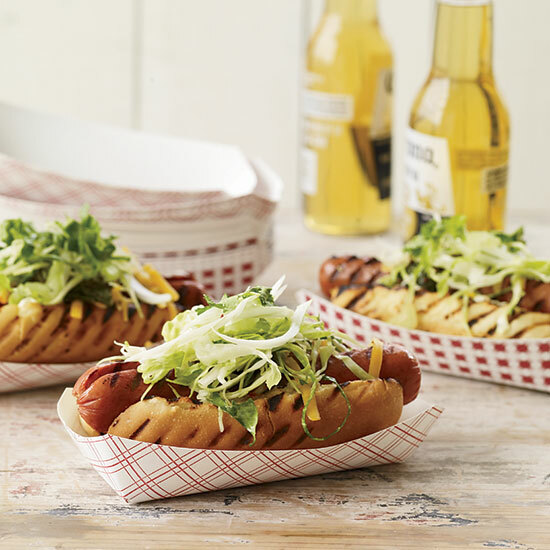 Toppings can include dulce de leche, maple syrup and Belgian Chocolate-Fudge Sauce. 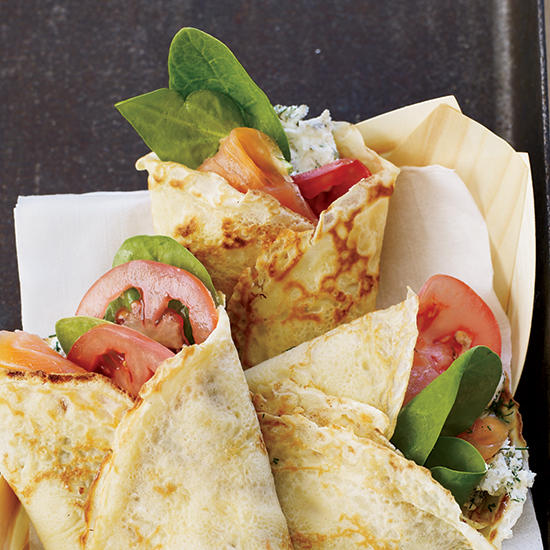 Austin's Flip Happy food truck uses giant crêpes like tortillas, filling them with savory stuffings like juicy pulled pork and caramelized onions or smoked salmon and tangy cream cheese blended with lemon, dill and capers. Austin is loaded with food trucks, and the Korean-Mexican-Texan mash-up that is Chi’Lantro is one of chef Aarón Sanchez’s favorites. 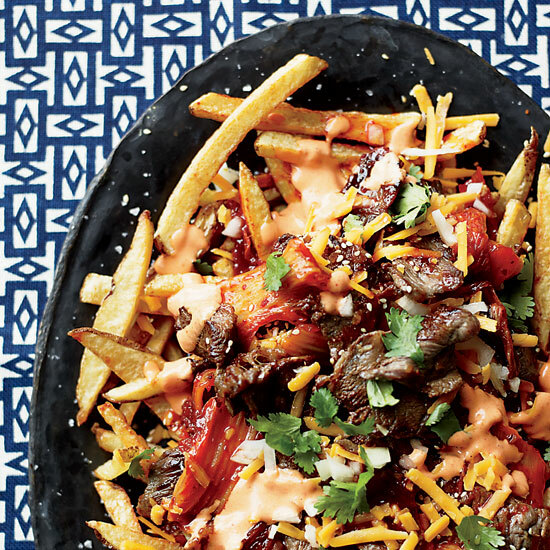 For his famous late-night snack, Chi’Lantro chef and owner Jae Kim tops hot french fries with caramelized kimchi, grilled Korean-style beef and a mayonnaise spiked with Sriracha. Skillet truck’s pride is its juicy burger, made with fatty Kobe-style beef and topped with Cambozola cheese (a creamy hybrid of Camembert and Gorgonzola) and Skillet’s bacon jam (a sweet-smoky condiment made from a secret recipe that calls for bacon and caramelized onions). For almost four years, Fred Donnelly's red Mogridder's BBQ truck has animated a nondescript section of the Bronx, where it sits in front of his auto repair shop. (The Mogridder's special—an oil change and brake check plus a platter of slow-smoked ribs—does brisk business.) Last October, Donnelly finally opened a place to sit and eat. 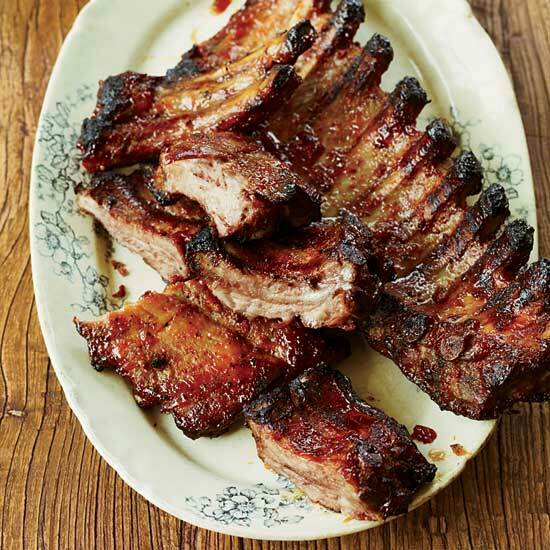 He makes these spectacularly sticky ribs at home. "Anyone you make them for falls in love with you," he says.